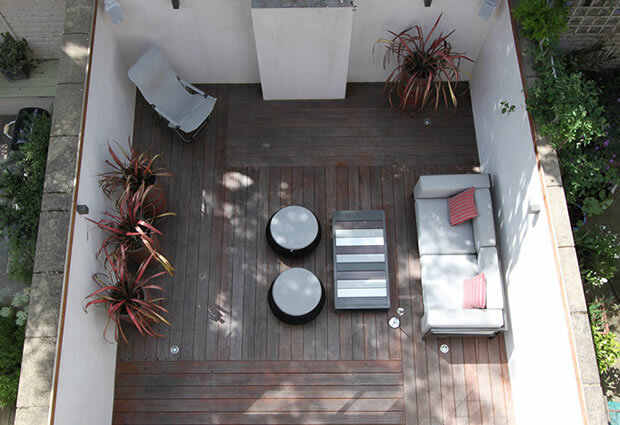 I wanted to really create light and space for this garden design Clapham SW4. 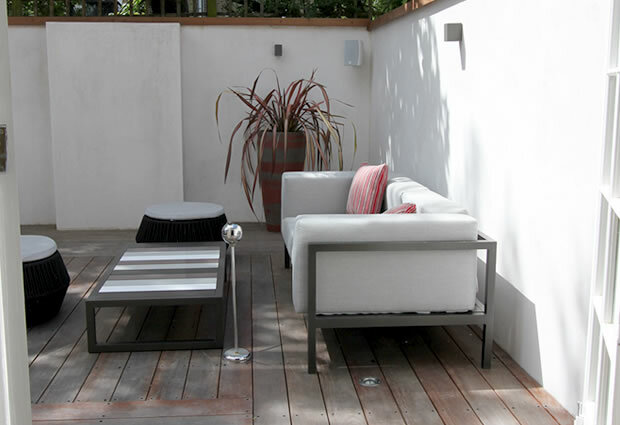 The small north facing Clapham garden didn’t get a lot of light so it was important to create a light and airy space to counter this. The light coloured natural stone lime render creates soft movement, and is has a natural feel which tempers the minimalist over tones. 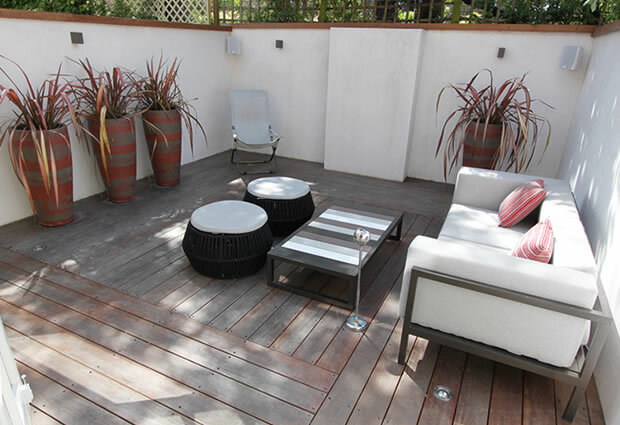 The distressed Ipe hardwood decking laid to a pattern creates visual interest and gives the floor a greater presence. 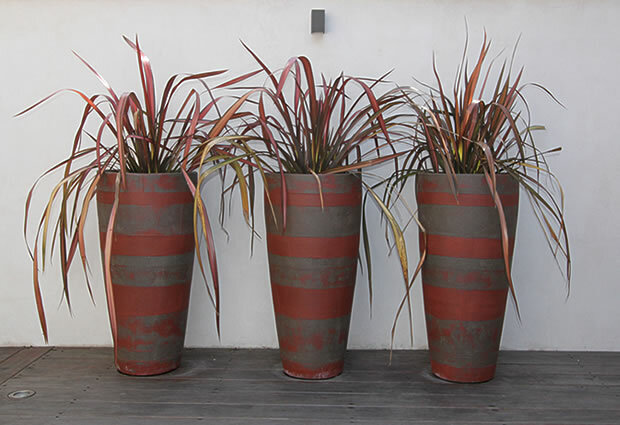 The designer furniture and pots offer stylistic intention. Garden lighting plays a big part in small courtyard spaces bringing the room alive at night creating atmosphere, inviting you in! Garden design doesn’t have to shout from the roof-tops. 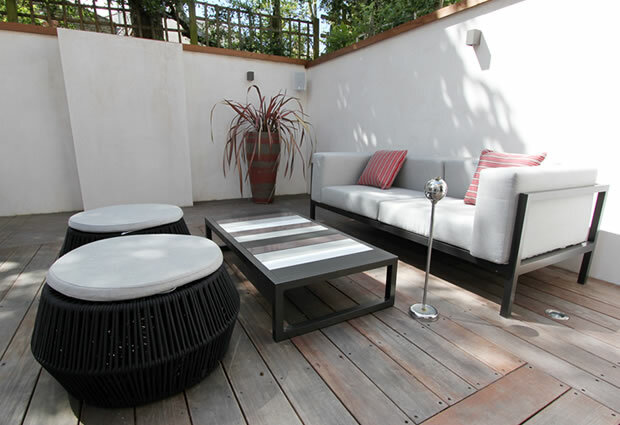 The London Landscaping Company are a professional garden Design and build service covering the Clapham Sw 4 areas and throughout London for over 14 years. We provide exceptional customer services, high professionalism and competitive prices. So for more information or to arrange a consultation with us please do not hesitate to get in touch with us straight away.Our in-house Design and building team can take you from initial meeting through to Garden design concepts and detailing stages , planting plants and full estimate including materials specification , and on to the build stages to completion .All our projects have a dedicated team of builders and project manager.